Get aerial images and video from a professional drone service provider at a fraction of the cost and time. Tell us where you would like aerial photography, videography, mapping, or data collection, and we take care of the rest. Our proprietary shot lists have been perfected over tens of thousands of drone flights. A DroneBase pilot will visit your location and do all the flying. Our drone operators are FAA approved, insured, and vetted by us. We have flown in all 50 states and over 70 countries with more than 100,000 commercial drone flights and counting. Your aerial videos, photos, and data will be ready in just a few days and are stored securely with no additional fees. You can easily view, download, and share from your Client Dashboard, or download in bulk via Zip or the world’s first drone service API. 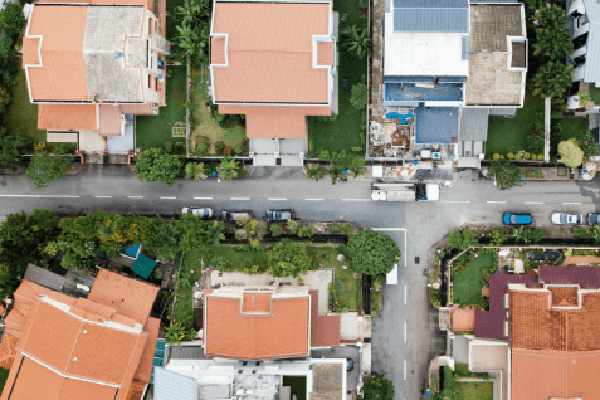 Sell real estate faster, attract more clients, and get the full picture by capturing your property and the surrounding area with drone imagery and data. Manage properties across the country quickly and reliably. From roof & equipment inspections to construction progress to marketing - drones are the ultimate tool. Improve operational efficiency, reduce liability, and make better decisions with drone imagery. We’re the expert in aerial property inspections for underwriting and claims. Get accurate, drone-captured data to power your business at every project. We offer visual project updates, monitoring, maps, models, and more. Showcase your home from the sky at a fraction of the cost and time. Get stunning aerial photos and videos of your listings from a professional pilot. Drone inspections are safer, faster, and cheaper than traditional inspections. Get accurate drone imagery now, anywhere in the country, from a pro. The DroneBase API enables enterprises to work with us at scale. Seamlessly send and receive hundreds or thousands of orders directly from our platform to maximize efficiency, lower costs, and decrease turnaround time with the world’s first and most reliable drone flight operations API. We’ve also partnered with multiple data solution platforms to fit your workflow. Whether you’re a global enterprise with assets around the world or a real estate agent with a property that must be seen from the sky, DroneBase has the power, scale, and flexibility to take your business to new heights. Easily order individual drone flights from our intuitive Client Dashboard, or connect with our API to seamlessly integrate drone data into your workflow at scale. The DroneBase Pilot App, available for iOS and Android, streamlines Pilots’ workflows so they can spend more time flying. Never miss a Mission with Push notifications and mobile access to scheduling, shot lists, and more. Our app integrates with the DJI SDK enabling DroneBase Pilots to find and fly Missions without switching between apps.